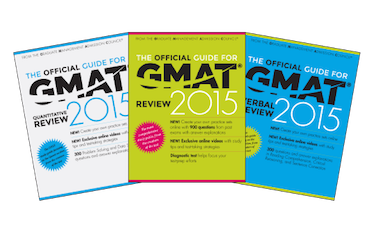 The Official Guide for GMAT Review is an 830 page book published by the authors of the GMAT. It is designed to give students a thorough understanding of the format of the GMAT and the content tested on the GMAT. The unique feature of the Official Guide for GMAT Review is that the book, along with its companions, is the only source of past GMAT questions. In other words, as the book itself states, the Official Guide for GMAT Review is "the only study guide with more than 800 past GMAT questions--and their answers." It is on this point that anyone serious about GMAT prep should take notice. While there is no shortage of quality GMAT practice questions, there is no substitute for working official sample problems that closely mimic questions students face on the actual test. The Official Guide for GMAT Review is divided into 10 sections: What is the GMAT?, How to Prepare, Diagnostic Test, Math Review, Problem Solving, Data Sufficiency, Reading Comprehension, Critical Reasoning, Sentence Correction, and Analytical Writing Assessment. There are two primary advantages to the Official Guide for GMAT Review. First, as previously stated, the book provides the best source of past official GMAT questions. While you can purchase a few additional questions in the form of old test booklets from the days when the GMAT was a paper-and-pencil test, these questions lack thorough explanations. Second, the Official Guide for GMAT Review offers questions in a broad range of content areas and difficulties. The 12th edition of the book offers 230 questions in its problem solving section, 174 questions in its data sufficiency section, 139 questions in its reading comprehension section, 124 questions in its critical reasoning section, and 140 questions in its sentence correction section. Although the Official Guide for GMAT Review offers its users invaluable content, it does come with three disadvantages. First, due to the book's format, the questions cannot be administered in a computer-adaptive format. Since the actual test is computer adaptive, an overreliance on the Official Guide for GMAT Review diminishes a student's comfort level with computerized test-taking. Second, the questions published in the book are quite old. Even the latest edition featured questions that the GMAT published years ago. Many test prep experts believe that the content of the actual test does not square entirely with that of the book. For example, some individuals contend that geometry and number properties questions account for a disproportionately large number of problems students scoring toward the top of the math section face. Third, according to test prep gurus, the Official Guide for GMAT Review does not feature the most difficult questions. Consequently, students aiming for a top score should seek out more difficult questions to complete their test preparation.